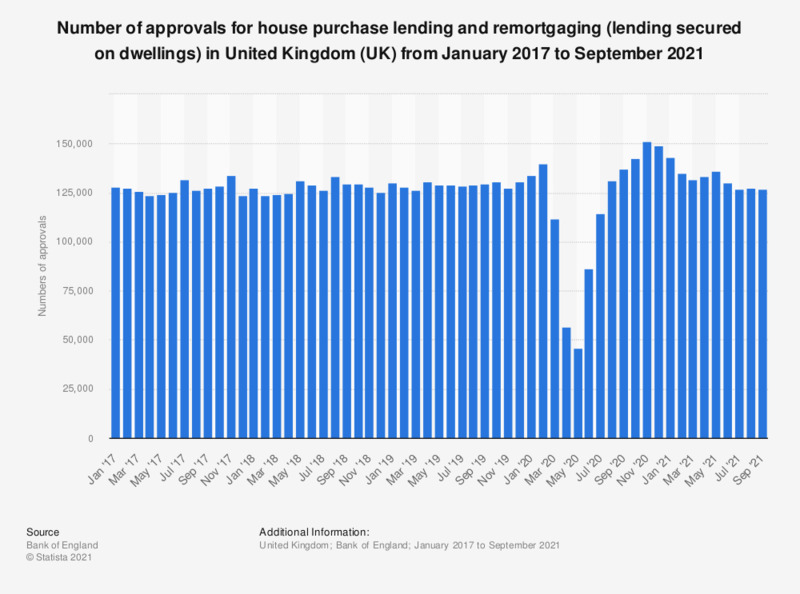 This statistic illustrates the monthly numbers for approvals for lending secured on dwellings (including house purchase loans and remortgaging) in the United Kingdom (UK) from January 2017 to December 2018. It can be seen that the monthly number of approvals for lending secured on dwellings fluctuated during the period under observation, reaching a total of over 124.8 thousand approvals as of December 2018. The largest number of approvals for lending secured on dwellings during this period of time was found in August 2018, when a total of more than 133 thousand approvals were recorded. Lending secured on dwellings includes both remortgaging and house purchase, as well as other categories. Figures are seasonally adjusted. United Kingdom: Do you think that stamp duty paid when buying a house should remain in place or be scrapped?